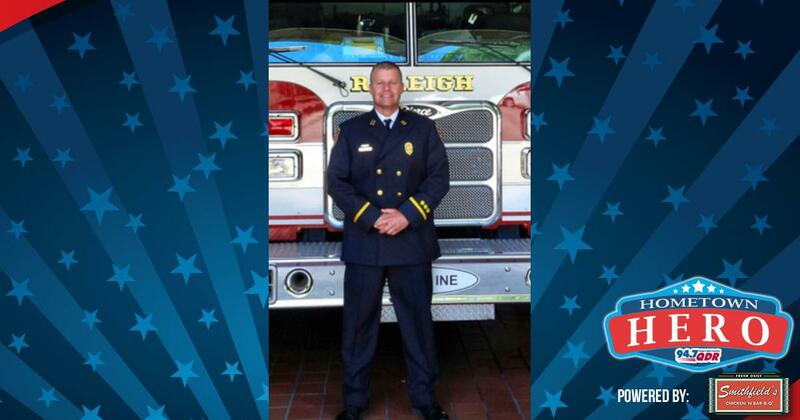 Our Hometown Hero of the week is Rick Hufham a firefighter in Raleigh. Rick was nominated by Teresa Pope who shared: Rick has worked with the Raleigh Fire Department for over 17 years. He not only works as a full time fire Captain and fire investigator but is also always helping others in need when off duty. He is a devoted Father and Son. He is always teaching and helping other new fire fighters. He has spent lots of time helping with my Daughter who is physically disabled. He cares deeply and does so much, never asking for anything in return. A true example of a humble and devoted Hero! Thank you Rick for your service! We’re sending you a gift card to Smithfield’s Chicken ‘N Bar-B-Q to thank you for all you do! Want to nominate a Hometown Hero? Click Here.